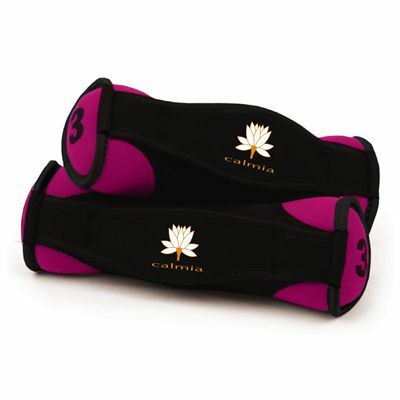 The Calmia 3lb (1.36kg) soft grip hand weights let you target certain upper body muscles simply, by doing a number of exercises to strengthen biceps and triceps, and tone shoulder and chest muscles. The soft fabric makes them extra comfortable and their anti-roll design means they can be placed down or stored without rolling away and damaging anything. The weights are supplied as a pair. for submitting product review about Calmia 2 x 3lb Soft Grip Hand Weights.